Sergeant Major S. C. McKell was born in Ireland in 1858 and emigrated to Canada September 20, 1874 at the age of 16 in search of work and a new life. In 1876 he joined the Queen’s Own Rifles and by 1883 he was a Sergeant in D Company where he was presented a Sergeant’s cane by his comrades. By 1885 he was promoted to Color Sergeant of his Company and he was serving as part of the North West Field Force where he fought at the Battle of Cut Knife Creek. During the battle he was acknowledged to have helped recover a wounded soldier under fire but he was also grazed in the temple during the process. From 1886 to 87 he was President of the Sergeants’ Mess which was noted to be like a second home to him. Outside of the regiment McKell had a position as a clerk at the firm of Hickson, Duncan & Co. purveyors of “fancy goods”, he was also a member of the Doric Lodge. By 1889 he was promoted to Staff Sergeant and appointed Sergeant Major of the Queen’s Own Rifles. Unfortunately McKell would not be in the position long, by December of 1890 he had died from blood poisoning. The funeral service was a large one as McKell was not only popular within the regiment but also outside of it so there were scores of soldiers from the Grenadiers and the Body Guard as well as around 460 Riflemen from the Queen’s Own in attendance. 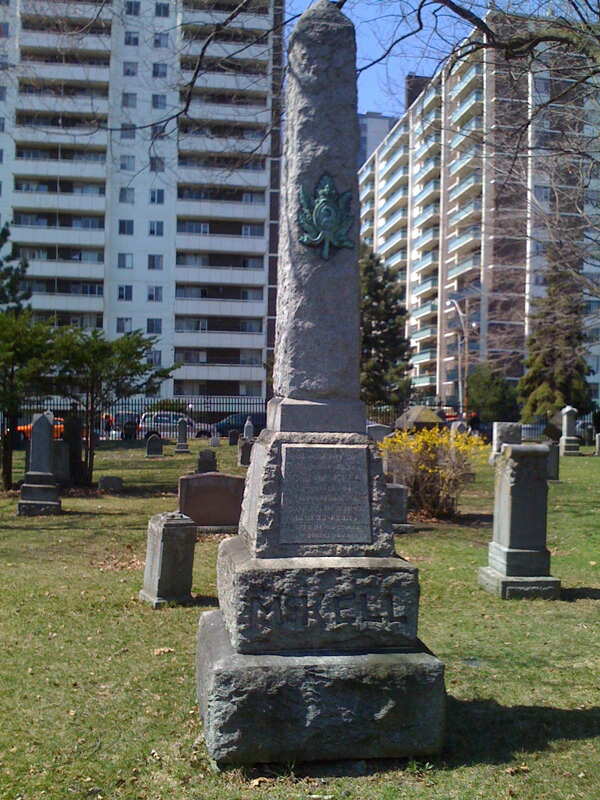 McKell is buried at St James Cemetery in Toronto with a large memorial erected by his comrades.